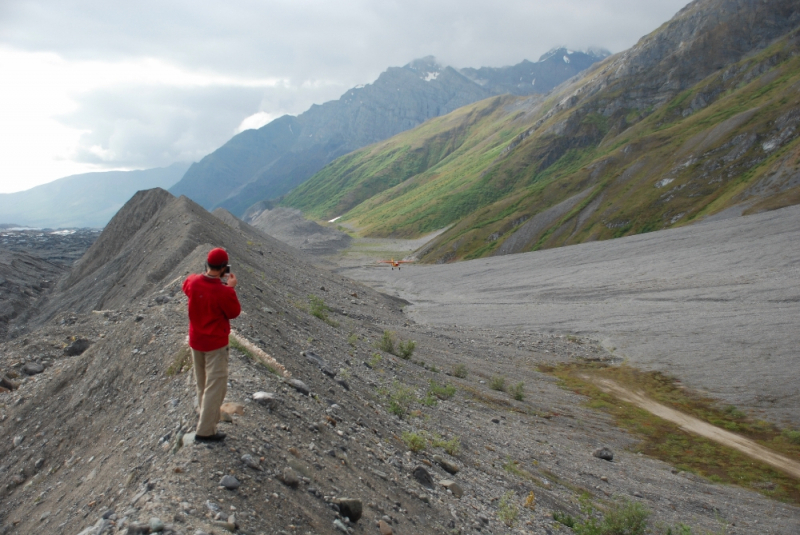 The Wrangell St. Elias National Park is BIG. 13.2 million acres big to be exact. 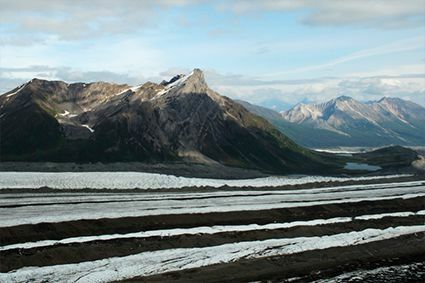 What better way to experience the raw natural beauty of this magnificent park, than by taking a guided fly-in hike to the Kennicott Glacier. 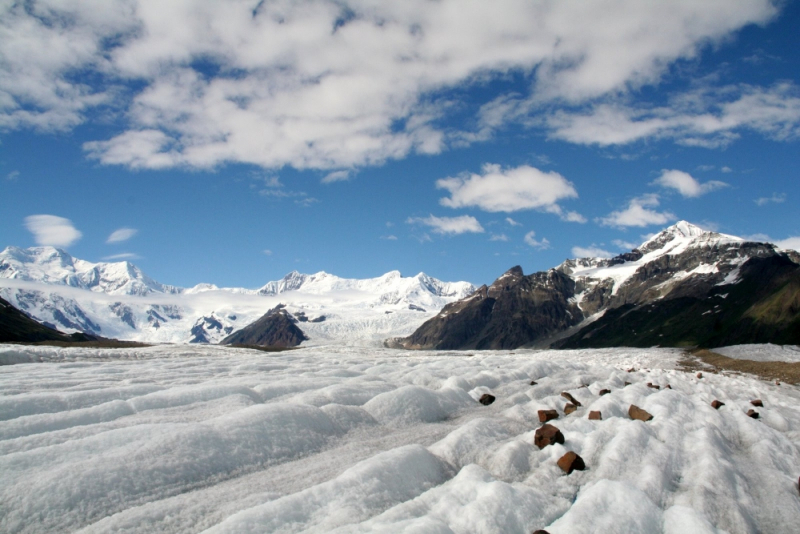 The morning of your flight, you and your professional mountain guide will board a bush plane for the scenic flight up the Kennicott Glacier. During the flight, you’ll have a birds-eye view of the magnificent blue pools and rugged glacial landscape below you and come eye to eye with 6,696’(2,040m) Donoho Peak and the historic Erie Mine Bunkhouse. 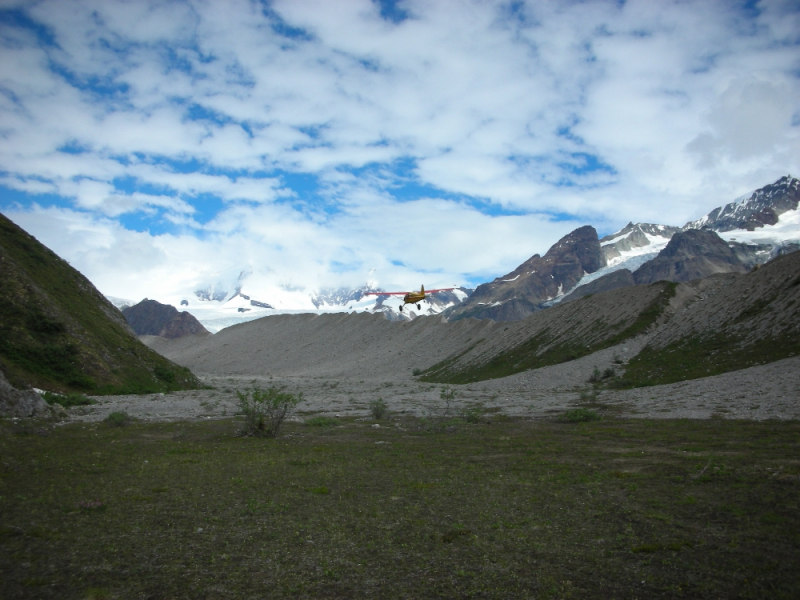 Your experienced bush pilot will land the plane on a tiny dirt airstrip nestled in the fosse (the area between the lateral morraine and the adjoining mountain sides) of the Kennicott Glacier. 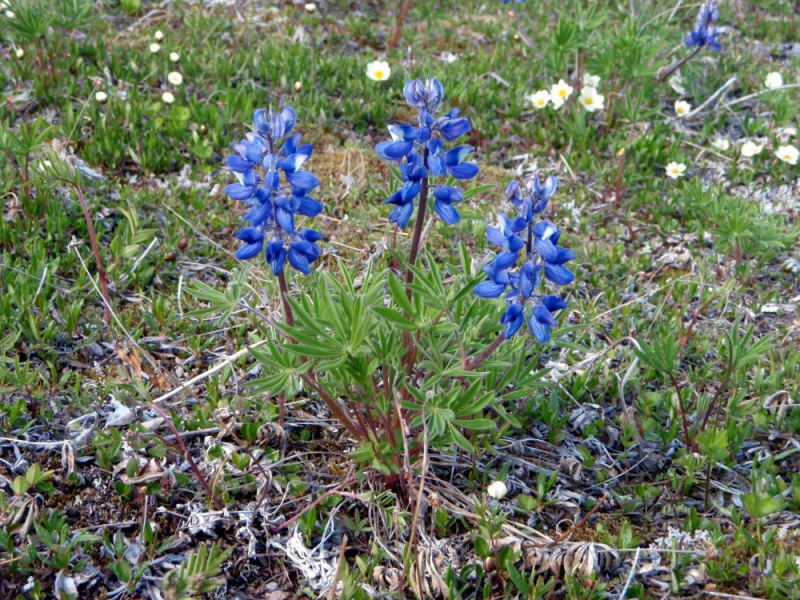 Walking among dazzling purple shooting-stars and alpine forget-me-nots, you are soon treated to a panoramic view of 16,390 ft.(4,995m) Mt. 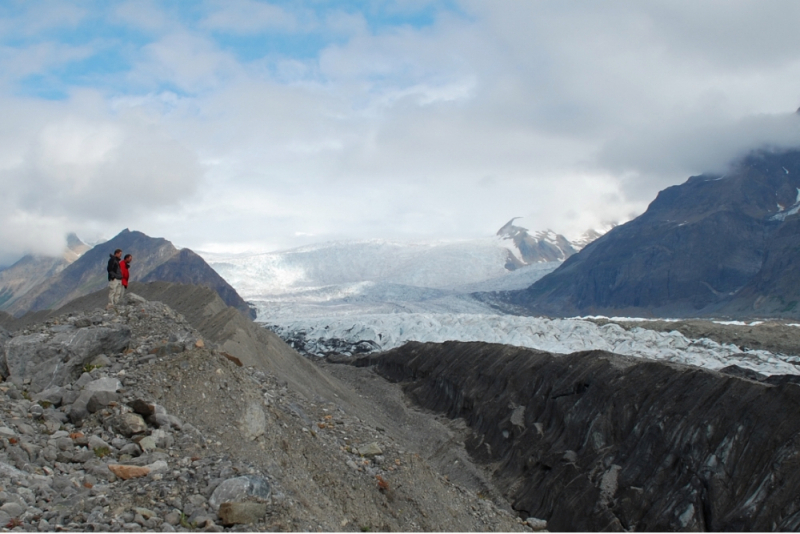 Blackburn and surrounded by hanging glaciers, immense icefalls and craggy peaks. 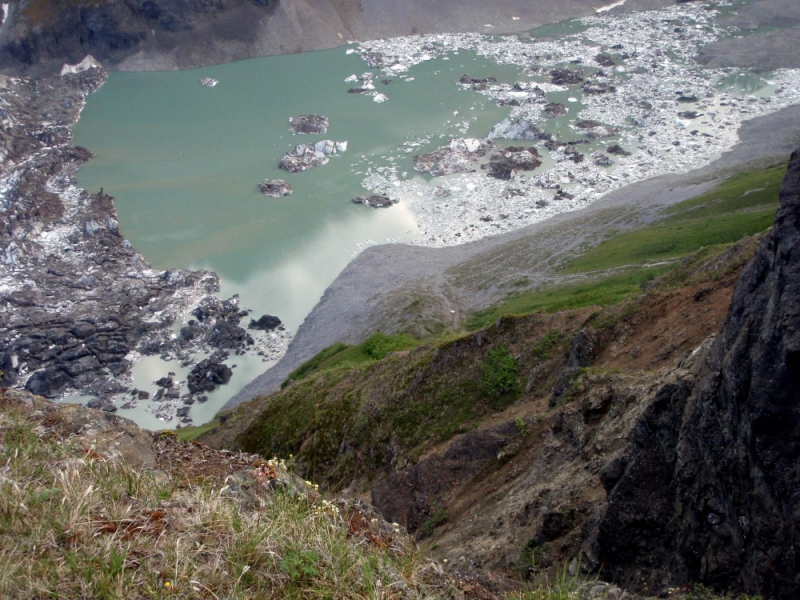 You and your guide can climb higher for more expansive views, or cross the lateral moraine and explore the ice of the Kennicott Glacier. You leave the “peopled” area behind on this adventure, and truly experience the stillness of this remote wilderness.